Details of past celebrations can be found here. Please send us your accounts and photographs. St Teresa's Catholic Church in Chiddingfold, Sussex held a spectacular flower festival on the weekend before her feast day this year. Each display represented an aspect of Teresa's life or teaching, and a special booklet accompanied the exhibition with explanations and additional information. The floral designs were created by members of the Catholic churches which make up the parish, as well as other local church communities, making it a truly ecumenical occasion. Admission was free, but donations were collected for the nearby Holy Cross Hospital at Haslemere. Thank you to the organisers for creating such an amazing event, and for sharing their pictures with us! An ongoing formation meeting organised by the Association of British Carmels provided the opportunity for nuns, friars, members of Secular and Tertiary Orders, and other members of the Carmelite family to receive ongoing formation together. The course was held at the Belsey Bridge Connference Centre in Ditchingham and ran twice between 7th-11th and 14th-18th September, with about 25 participants each week. The course was led by Carmelite friar Fr Greg Homeming OCD from Australia, who spoke on the topic Teresa and the transformation of the human person in an age of secularism. This is the first time that such a joint formation meeting has been organsied, and all agreed that the opportunity to meet and share together was deeply appreciated. A photo report on the Carmelite Forum's pilgrimage to Spain in August/September 2015 can be seen by clicking here. 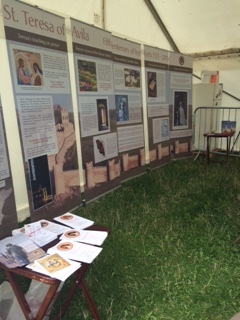 Our Teresa 500 exhibition has been at the New Dawn Festival this week in Walsingham where many visitors have enjoyed getting to know about St Teresa for the first time. On 30th July the sisters at Thicket Carmel celebrated the consecration of their new chapel with a special Mass celebrated by Bishop Terence Drainey, Bishop of Middlesborough. The day was an opportunity to mark both the Year of Consecrated Life, and the Teresa 500 Year, as well as to formally consecrate the chapel for worship. For a full report and further pictures, click here. 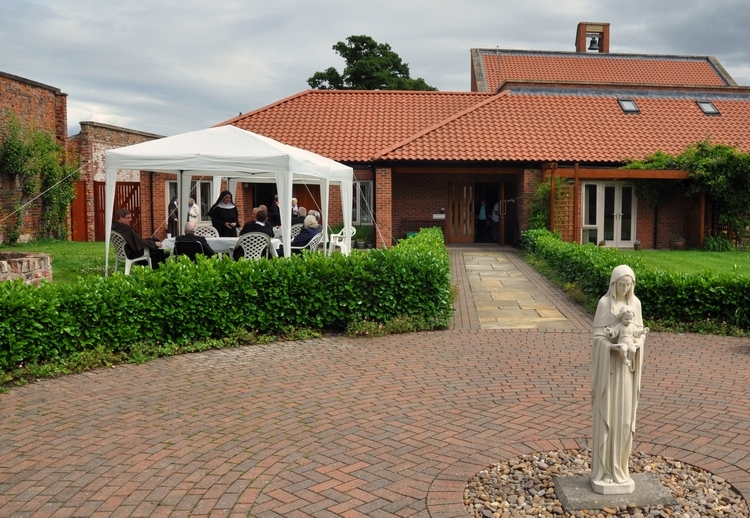 Ware Carmel opened its doors to nearly 200 parishioners from the parish of the Sacred Heart of Jesus and St Joseph in Ware on Sunday 12th July for an outdoor Mass and parish picnic. The celebration marked the Teresa fifth centenary year, as well as the 90th anniversary of the founding of Ware Carmel in 1925. The Teresa 500 exhibition provided a fitting backdrop to the altar, and prayers and music from the Teresa 500 CD were used during the liturgy. We were grateful that the weather stayed dry, and after Mass guests enjoyed picnicking in the monastery grounds. More than two hundred pilgrims joined us from across the country for our Carmelite pilgrimage to Walsingham on Saturday 11th July. The day began with a talk by Fr Matt Blake OCD at the Chapel of Reconciliation. Fr Matt considered Teresa's own experience of pilgrimage, and the affection she shows for Our Lady in her writings. The celebration of Mass followed, and was live streamed so that those unable to be present in person could share in the event. In the afternoon, pilgrims processed silently to the Anglican Shrine of the Holy House in Walsingham village where there was a service of sprinkling with holy water. The day finished with Benediction in the grounds of the medieval priory, at the site of the original Holy House. For photos of the day, see the slideshow below. About 90 people joined the sisters of Wood Hall Carmel on Saturday 4th July for an afternoon entitled 'An Encounter with St Teresa'. The afternoon included talks by the sisters, music and a chance to experience silent prayer. Our academic conference marking the fifth centenary of St Teresa's birth took place at St Mary's University, Twickenham from 18th - 20th June. Jointly organised by St Mary's University, Heythrop College London, Sarum College, the Mystical Theology Network and the Teresa 500 Planning Group, the conference gathered speakers and delegates from across the world for a stimulating three days of conversation and exploration of Teresa's impact and lasting legacy. Presentations ranged across fascinatingly diverse topics such as Teresa's relationship to negative theology, the value of her teaching in contemporary inner city ministry and the living of her charism in the post modern world. 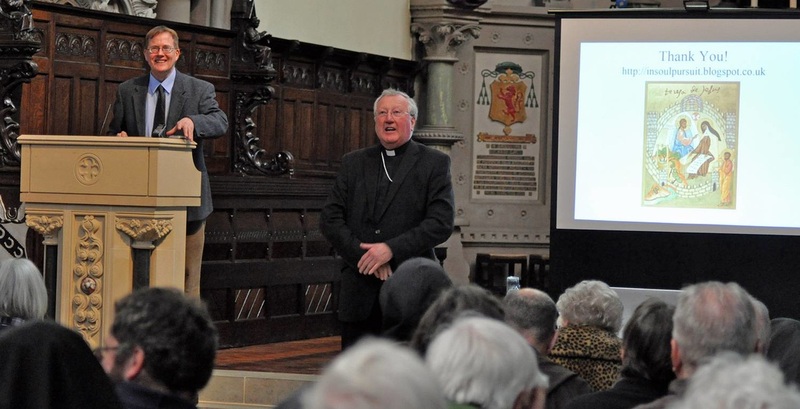 Speakers included Professor Rowan Williams, Fr Wilfrid McGreal, Professor Bernard McGinn and Professor Julia Kristeva, as well as contemplatives, clergy and lay persons, all enthused by Teresa and struck by her relevance to their contemporary lives and work. It was, as one participant put it, a 'beautiful and unforgettable' experience. Here we share some images from the three days. To see videos of some of the key presentations, please visit our multi media page. 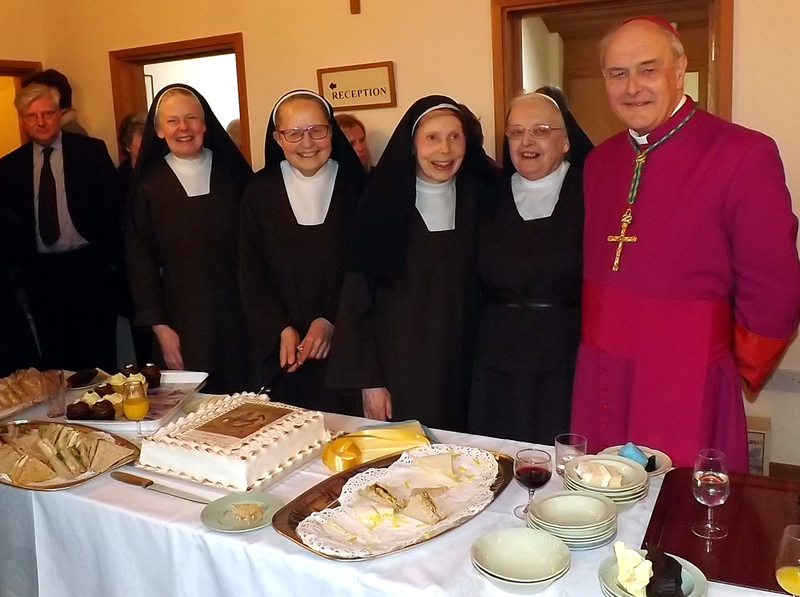 Teresa's 500th birthday was marked by a special celebration at Quidenham Carmel on March 28th, involving both the nuns and the Secular Carmelites of the region. The Rt Rev. Alan Hopes, Bishop of East Anglia, was the principal celebrant at Mass, and the travelling exhibition was on display. A buffet lunch followed, featuring a specially created birthday cake reproducing the Teresa 500 icon. This icon was painted by the Melkite sisters of Nazareth and is being kindly made available for the centenary year by Julienne McClean. For more details of the icon, visit our icon page. Two Teresa events took place in Preston recently, organised jointly by the Carmelite nuns at Preston Carmel and the community at the Tabor Retreat Centre. 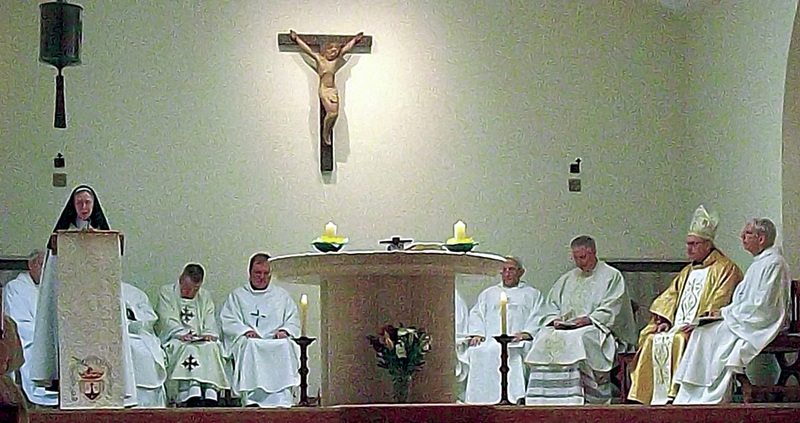 The first, a day of prayer and reflection, was held on 7th March. The title of the day was 'The Butterfly Takes Flight: The journey of transformation through Teresa's Interior Castle.' Input was given by Fr Matt Blake OCD and Gillian Coxhead OCDS. A selection of photos from the event can be seen below, or by visiting the nuns' Facebook page. The second event, held on Wednesday 15th April, was attended by Carmelite nuns from Wood Hall, Birkenhead, Maryton and Ware Carmels. The theme of the day was 'Who is Teresa? : Exploring her inner world.' Fr Matt Blake OCD gave the first talk and this was followed by Gillian Coxhead OCDS ,who spoke on the topic of Teresa's fifth mansion and the transformation of the silkworm into the butterfly. There was also time for sisters to share what Teresa means to them. Pictures of the day can be seen in the slideshow below. Our most recent event took place in York on 21st March. 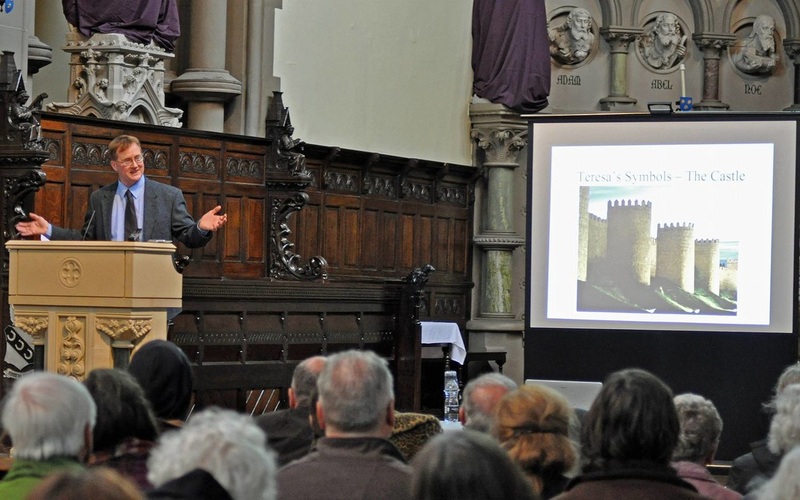 The first part of the afternoon was hosted by St Wilfrid's Catholic Church where Professor Peter Tyler of St Mary's University, Twickenham gave a fascinating talk on Teresa's Cathedral of the Soul. A video of Professor Tyler's talk can be seen here. Bishop Terence Drainey thanked Professor Tyler for his talk. 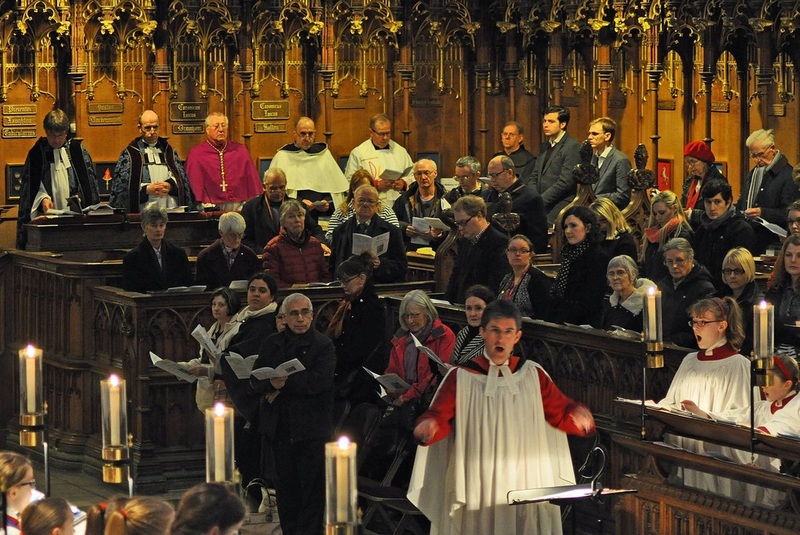 After a short break for afternoon tea, the many members of the Carmelite Family gathered in York Minster for a special Sung Evensong in honour of St Teresa. We were delighted to have the O. Carm. Prior General with us, who preached a short homily as part of the celebration. This can be viewed below. On 15th October 2014 the Opening Liturgy of the Teresa 500 Year was celebrated at the Discalced Carmelite Priory in Kensington, London. More than 600 guests, together with Carmelites from across the country, gathered to inaugurate the centenary celebrations. A video of highlights of the evening is now available on YouTube and can also be viewed here. A slideshow of photos of the evening can be seen below. These photos can also be seen on Flickr and Facebook.